Location: Bridge crossing along road from Zvishavane to Mbalabala. Notes: Plant hispid hairy; flowers small; fruit short, round, velvety, spotted. Bit like a hairy C. sphaerocarpa but fruit larger. Hyde, M.A., Wursten, B.T., Ballings, P. & Coates Palgrave, M. (2019). 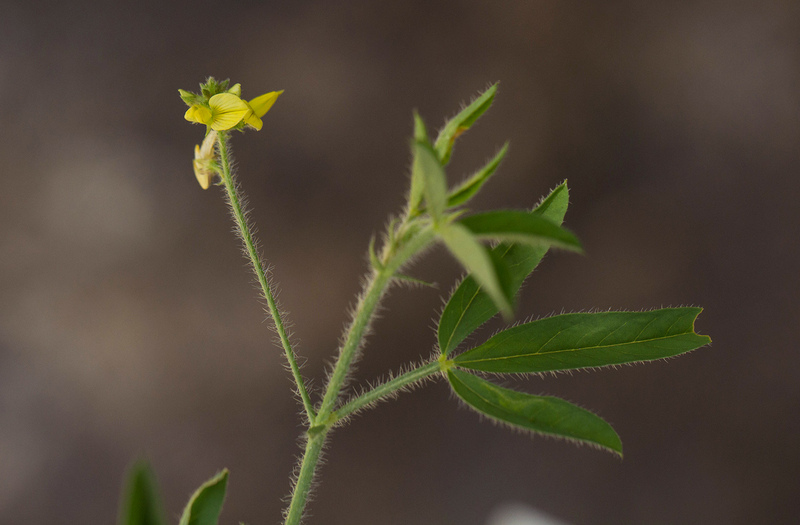 Flora of Caprivi: Species information: individual images: Crotalaria steudneri.